Here’s my short selection as the London Fashion Week has ended. 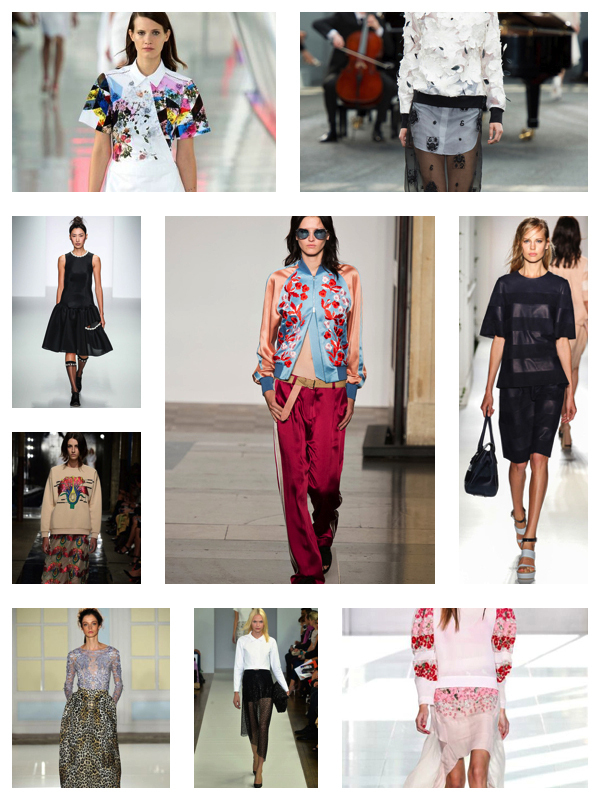 To further your curiosity for spring outfits, go to THE RUNWAY board on my Pinterest page. INFO (from top to right): Preen, Erdem, Simone Rocha, Christopher Kane, Jonathan Saunders (a must-see), Mulberry, Alice Temperley (very pretty), Osman, Antonio Berardi.